We have all kind cocktail bartender courses, different size bars and private cocktail masterclasses tailored for you. Guests will be provided with a chance to be their own bartenders and will have the guidance of our expert mixologists on their way to create they'r own cocktails. The way our workshop is conducted can be freely adjusted to host larger or smaller parties. Your guests will receive comprehensive explanations of each cocktail and individualised approach from our cocktail bartenders and also a welcome cocktail on arrival. Our Workshop consists of 4 cocktails in total, you will be preparing 3 Cocktails yourself plus the welcome drink. An average masterclasses takes around 2 to 3 hours and can be executed in our venue based in central london or at your private house or commercial property. It is lots of fun and something different to showcase your guest at your private cocktail party. Our stylish & beautiful mobile bars come in different shapes and sizes and can be hired as dry hire or a with all the ingredients, glassware and cocktail barman. 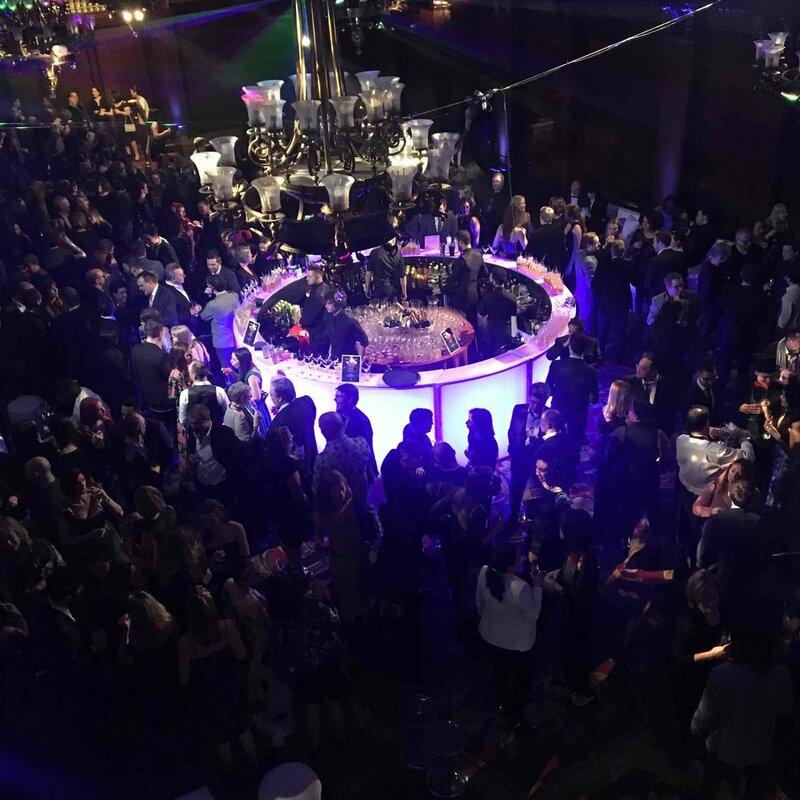 The portable bars have colour changing LED and are convenient for private, corporate and weddings parties as well as public events such as pop-up events, festivals & exhibitions. We deliver in and around London and it takes us about out 10-20 mins for the setup. Our Pop up bar service offers a wide range of cocktails to accompany your event with an unbelievably flexible menu so you can choose the drinks that are the most convenient for your event we can also provide glassware, spirits, mixers and ice .